Guess what, guys? I'm going Steampunk! Just to be clear, that's not a finished cover. I have a person who makes my covers. This is just a quick mock-up I made after searching free to use Steampunk pictures online for a bit and finding this lovely image. Since I was planning to write Steampunk anyway (hence the searching), I picked up the photo, popped it in Canva's ebook cover creator, and made myself an "inspiration" cover. I may try and get my cover artist to use this photo, as it does appear to be free to use based on the information on Flickr, but she often surprises me with something better than my original ideas. 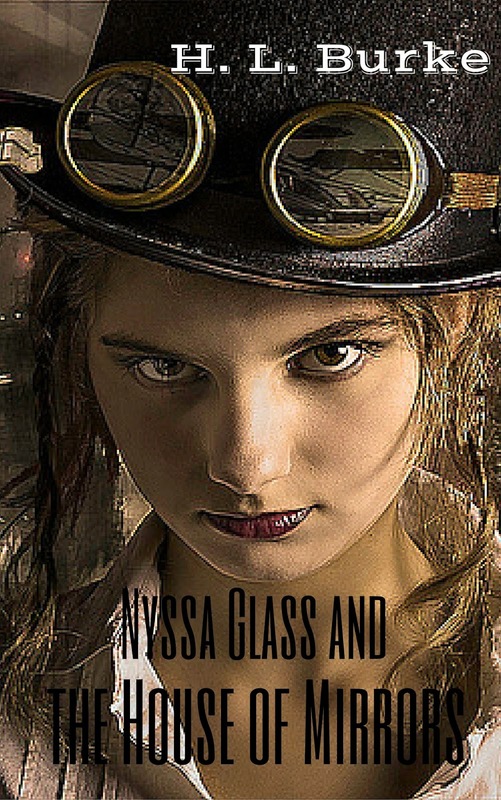 Nyssa Glass is a reformed cat burglar turned electrician's apprentice, settled into a life repairing videophones and radio-sets. However, when her past comes calling, she finds herself forced into one last job. No one has entered Professor Dalhart's secluded mansion in almost a decade, at least not and returned to tell the tale. If Nyssa wants to ensure her freedom, she'll brave the booby trapped halls and mechanized maids. Nyssa has skills, but this house has more than its share of skeletons, both literal and figurative. As she steps into the cobwebbed halls lined with dusty mirrors, she has to wonder. Is the House of Mirrors really abandoned? It's actually a little bit of a horror story. Creepy old mansion, murderous machines, a mad scientist ... Poe+Wells+Shelley, maybe? Of course with a bit of Steampunk. I'm pretty excited about this one. I think it'll be a lot of fun to write.